Hammel Creative Media is an innovative Web Media Service providing a full range of quality, professional Media/Marketing Services. We design with Google in mind! We provide affordable, quality services in web, graphic, audio and video. We give attention to detail, offer guidance in creating, work with clients to meet any and all specifications possible. Hammel Creative Media is a full service Multimedia/Marketing/Design Agency. 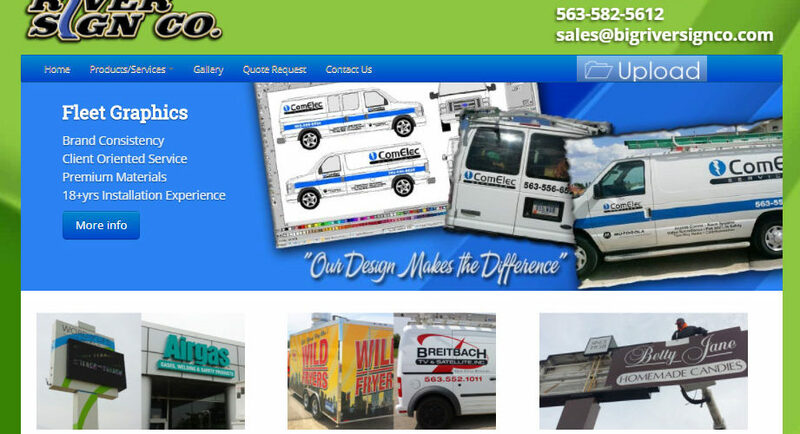 View examples of our Web, Print, Billboard, Video and Logo design. For more information on how we can help, please call 563.513.3630 or write today! It’s all about you. Your business. Your brand. Your message. We design with Google in mind! SEO (Search Engine Optimization) is our specialty. When was the last time you picked up a phone book? Now is the time to put your web presence to work for you – 24 hours a day, 7 days a week. Let us help you to be seen! 12 months FREE hosting with every new website! Our Marketing Design Services include Print Ads, Billboards, T.V. Commercials, and Signage. We create Business Cards, Brochures, Event Programs and all things print. Message-On-Hold Services, Radio Commercials, Podcasts, Voice-overs and more are part of our quality services in Audio Marketing.